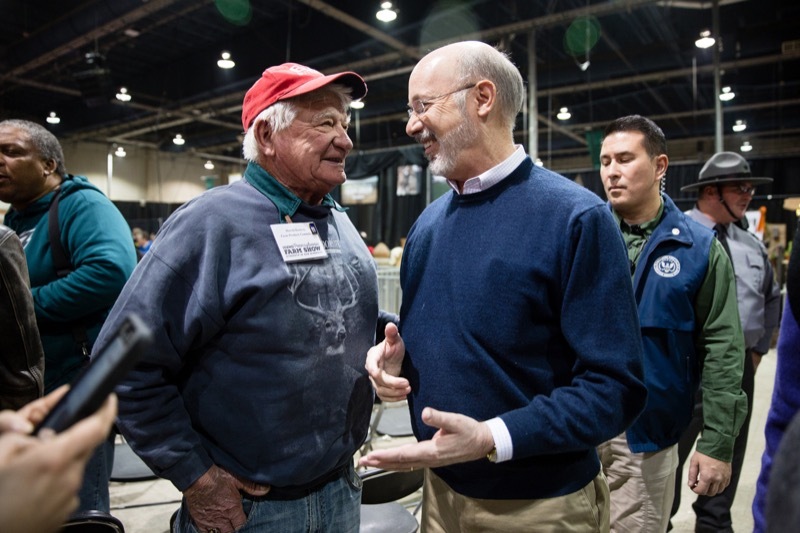 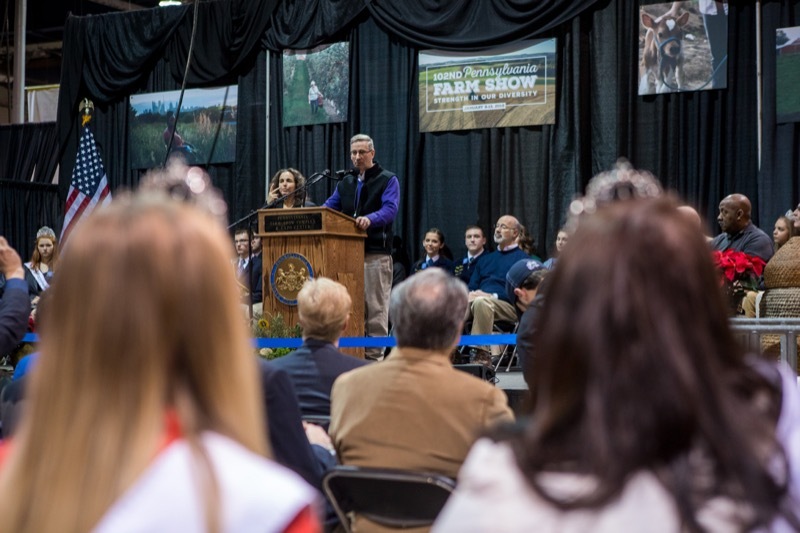 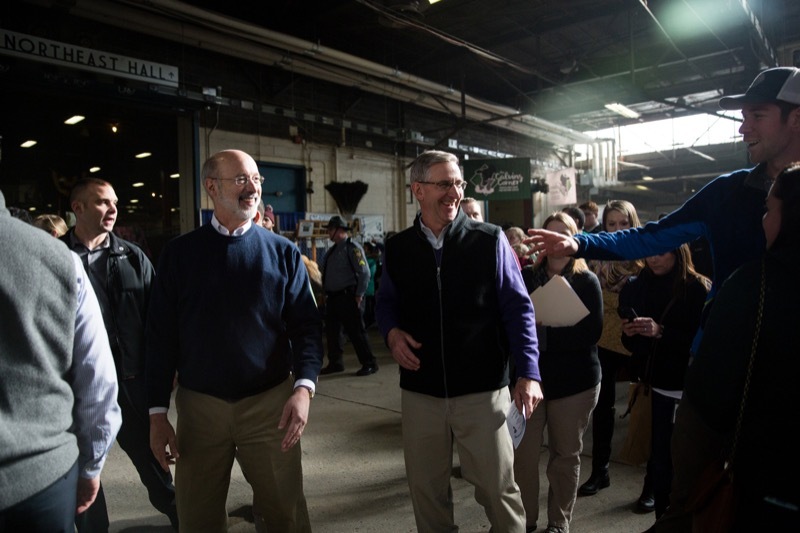 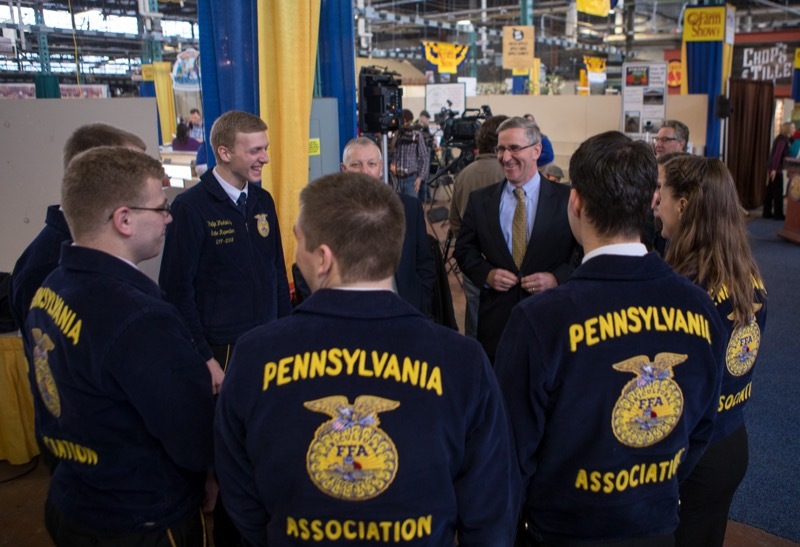 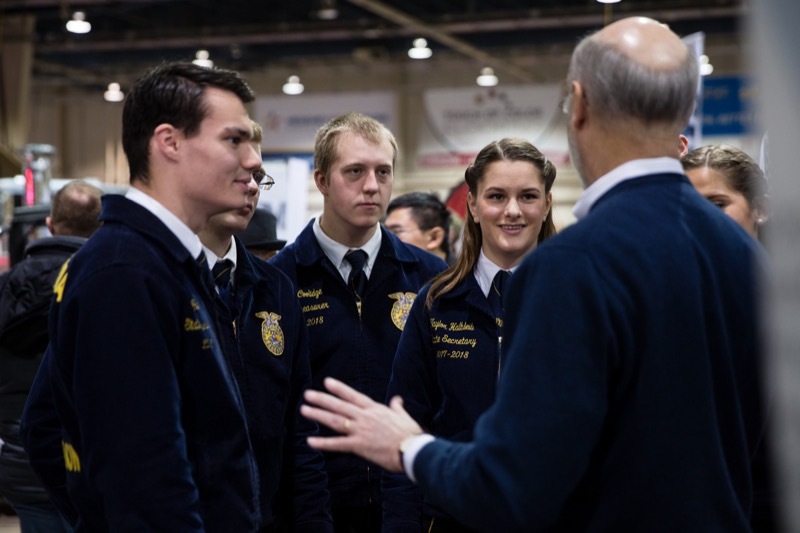 Harrisburg, PA - Speaking to more than 500 state and local officials at the Pennsylvania Farm Show today, Governor Tom Wolf made one point clear: agriculture is an incredibly vital industry to the state's economy that policymakers and industry must work collaboratively to strengthen and grow. 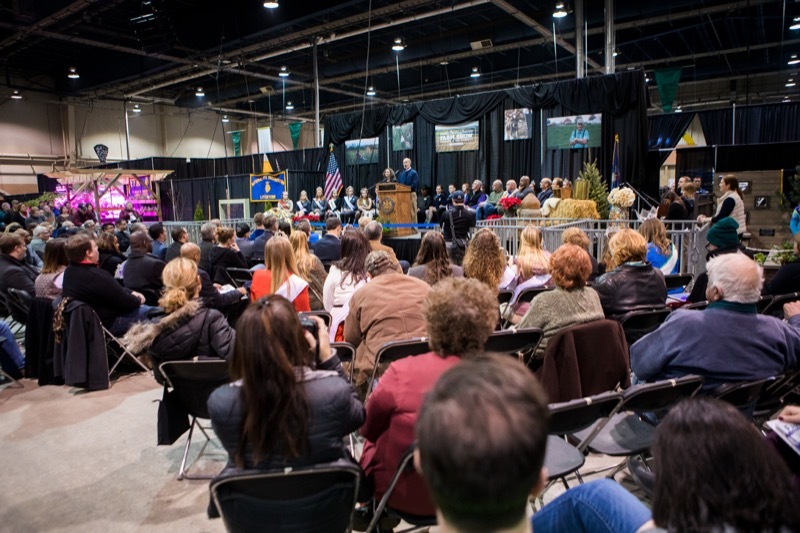 The Governor made his remarks at the eight-day show's annual Public Officials Day luncheon. 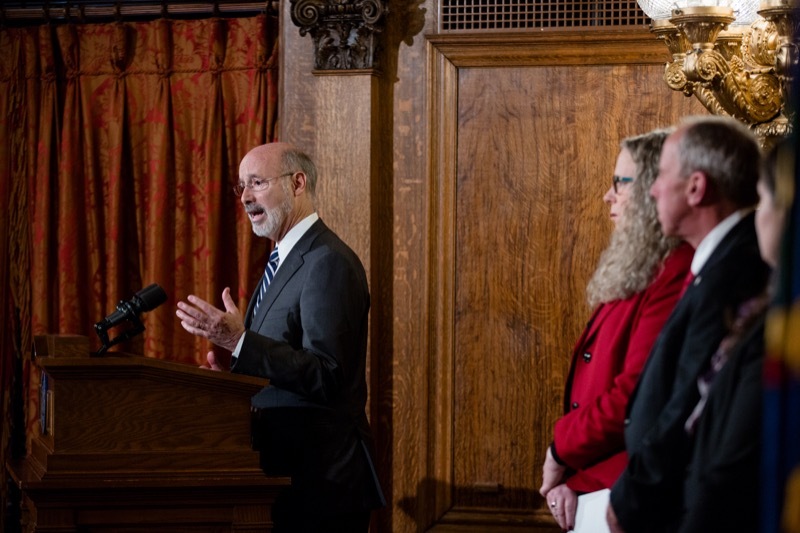 Governor Wolf Declares Heroin and Opioid Epidemic a Statewide Disaster Emergency. 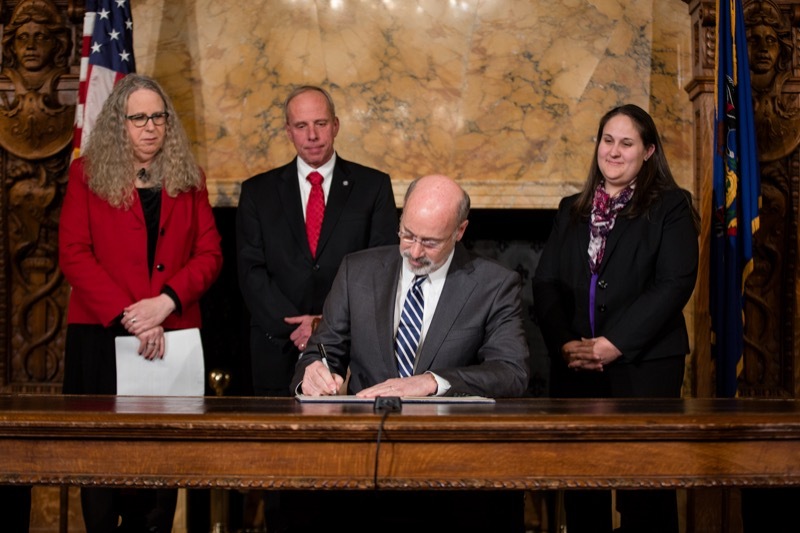 Today, Governor Tom Wolf took another step forward in bolstering the fight against heroin and opioid addiction by signing a statewide disaster declaration to enhance state response, increase access to treatment, and save lives. 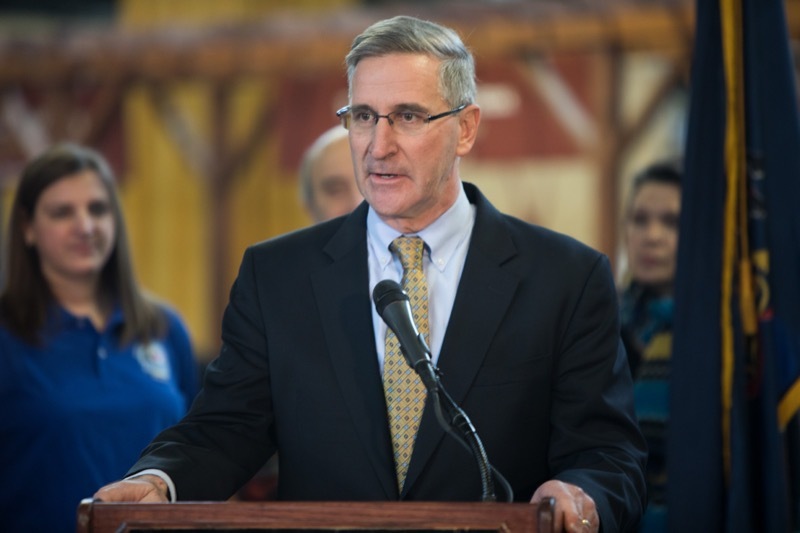 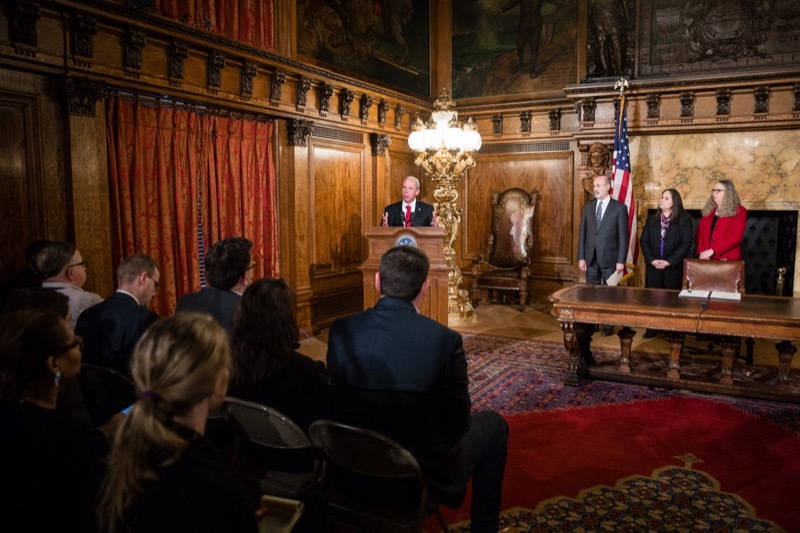 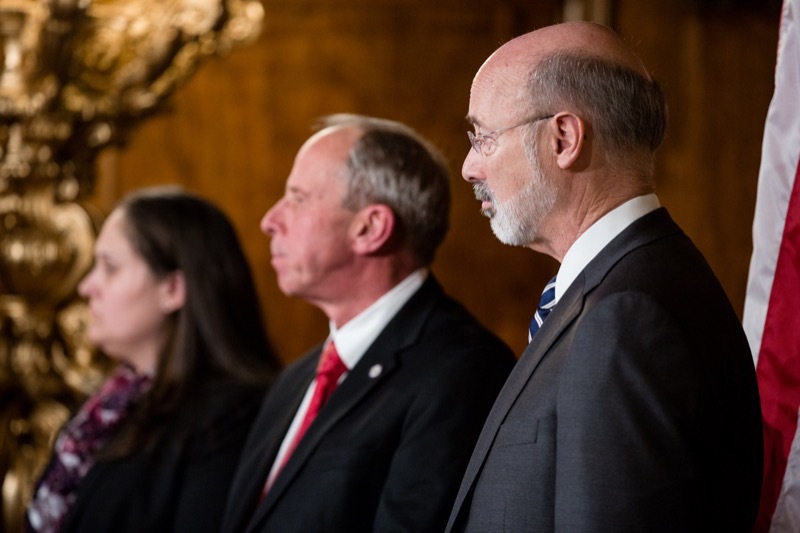 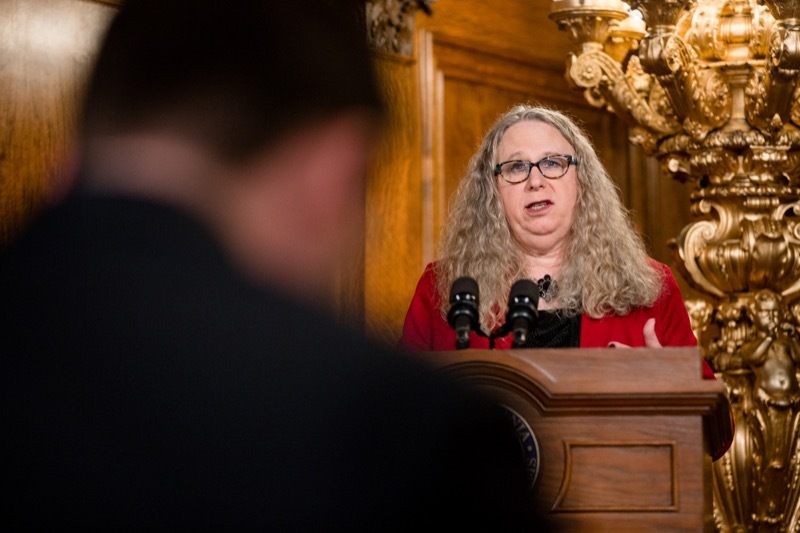 The declaration is the first-of-its-kind for a public health emergency in Pennsylvania and will utilize a command center at the Pennsylvania Emergency Management Agency to track progress and enhance coordination of health and public safety agencies. 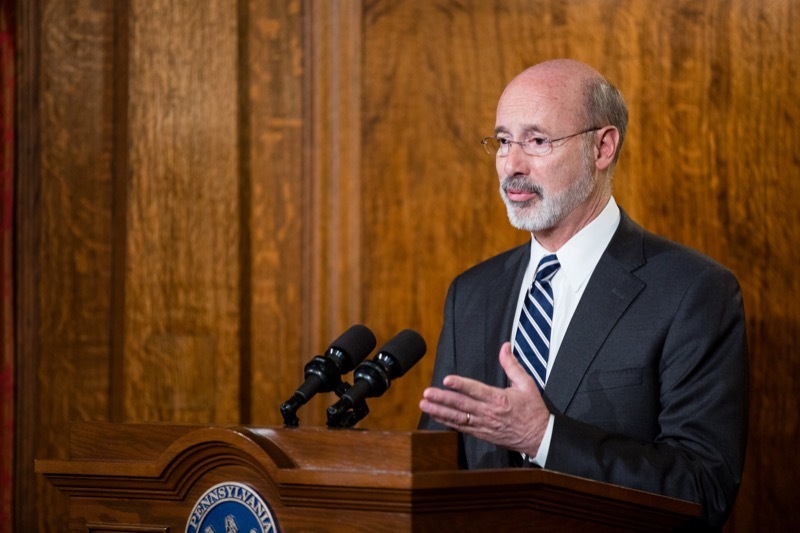 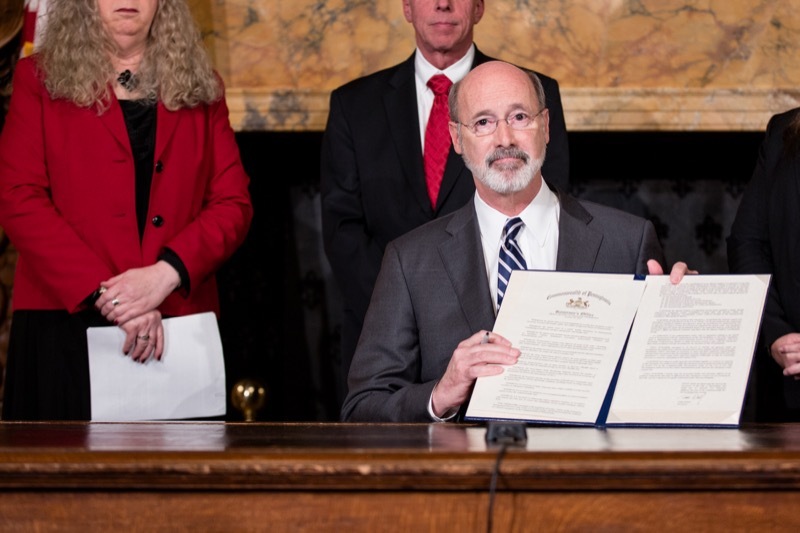 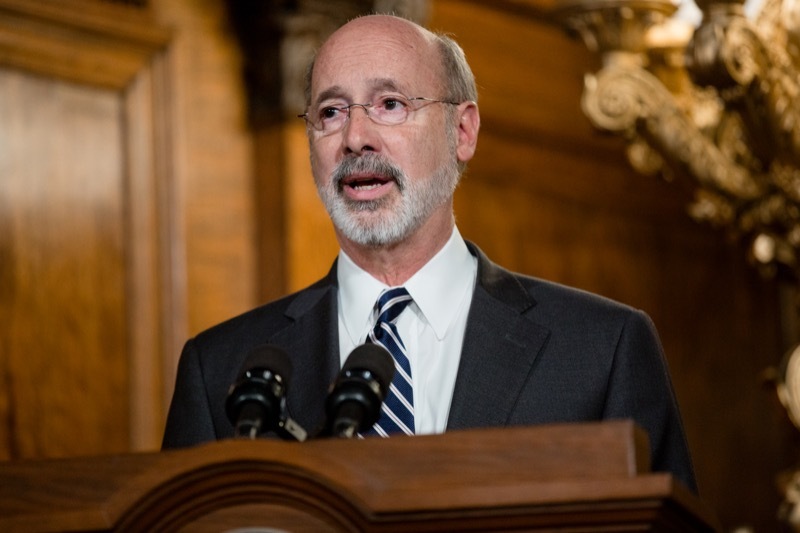 Governor Tom Wolf took another step forward in bolstering the fight against heroin and opioid addiction by signing a statewide disaster declaration to enhance state response, increase access to treatment, and save lives. 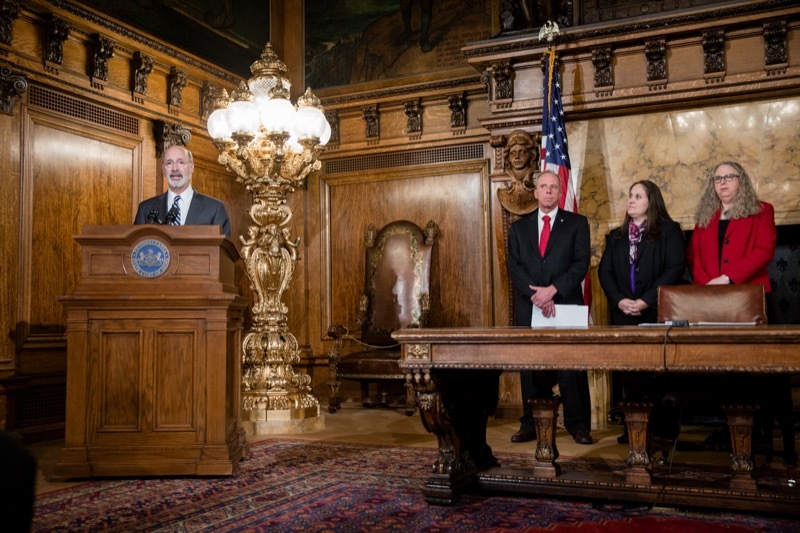 The declaration is the first-of-its-kind for a public health emergency in Pennsylvania and will utilize a command center at the Pennsylvania Emergency Management Agency to track progress and enhance coordination of health and public safety agencies. 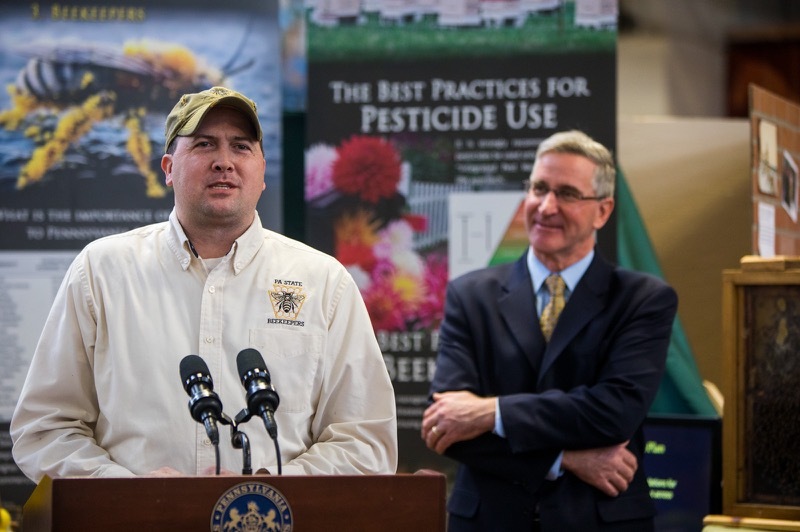 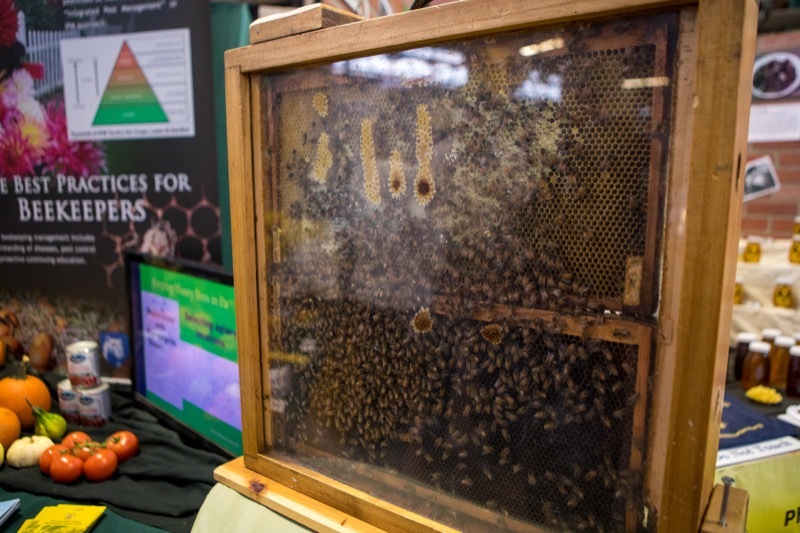 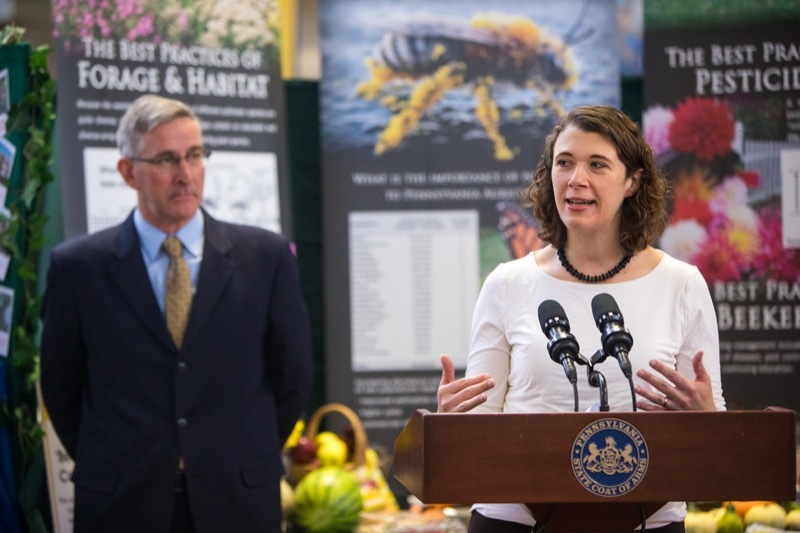 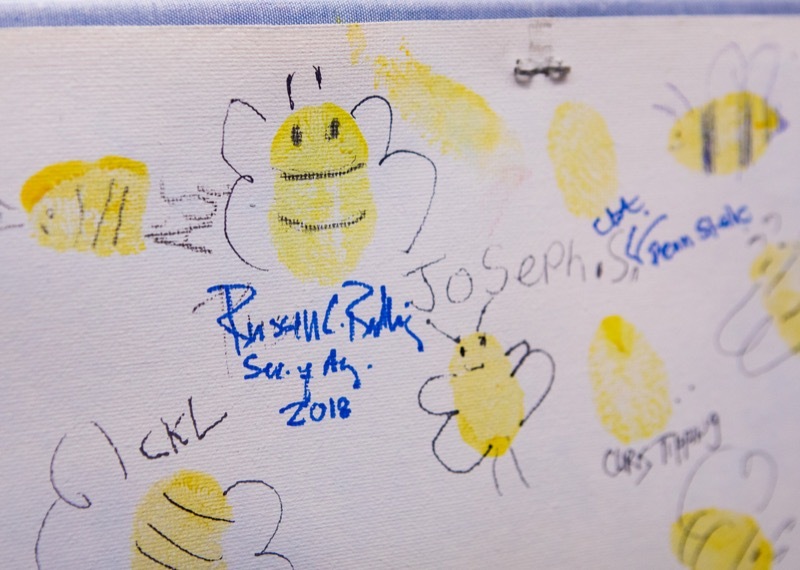 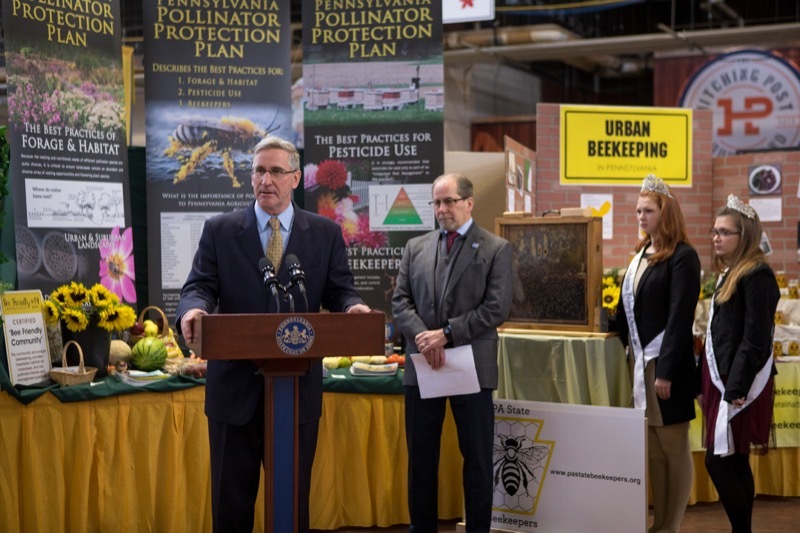 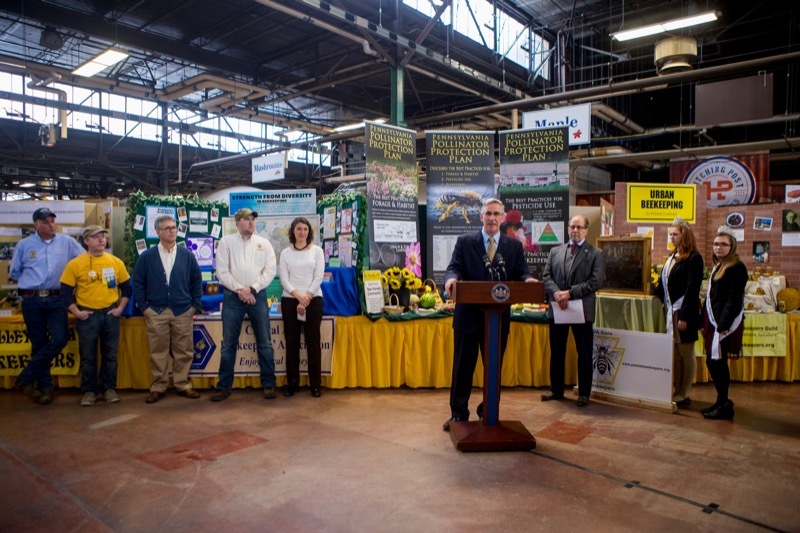 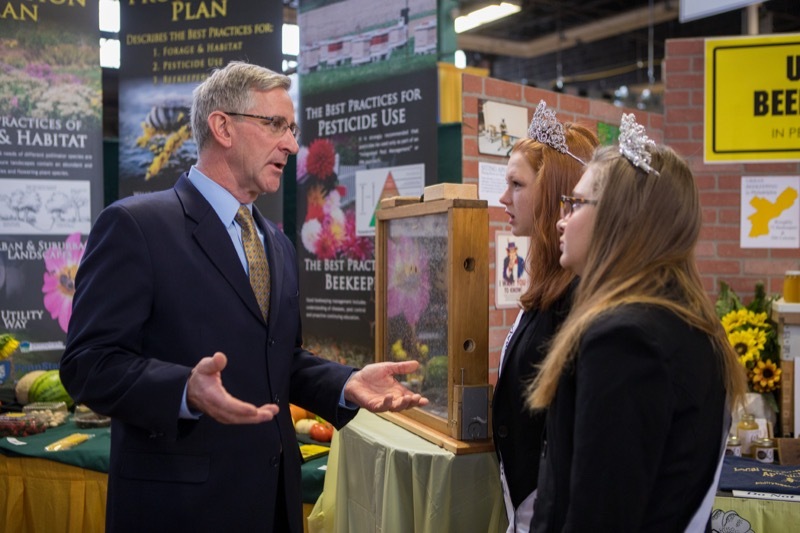 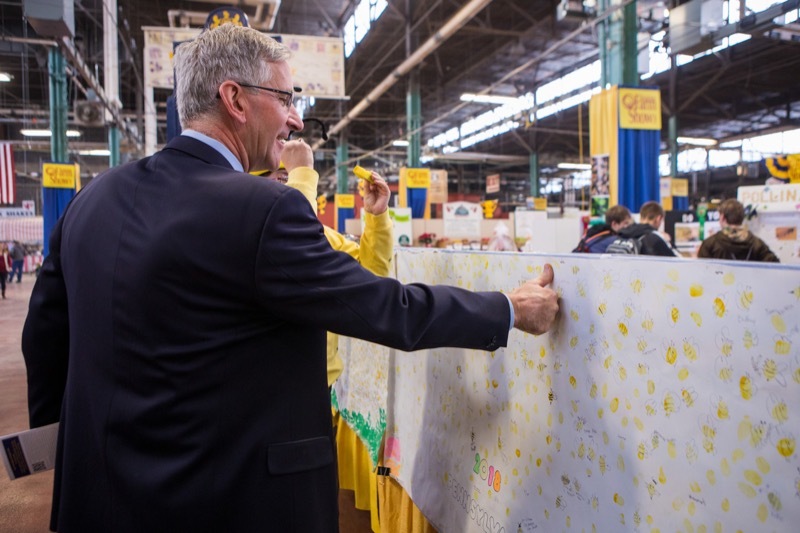 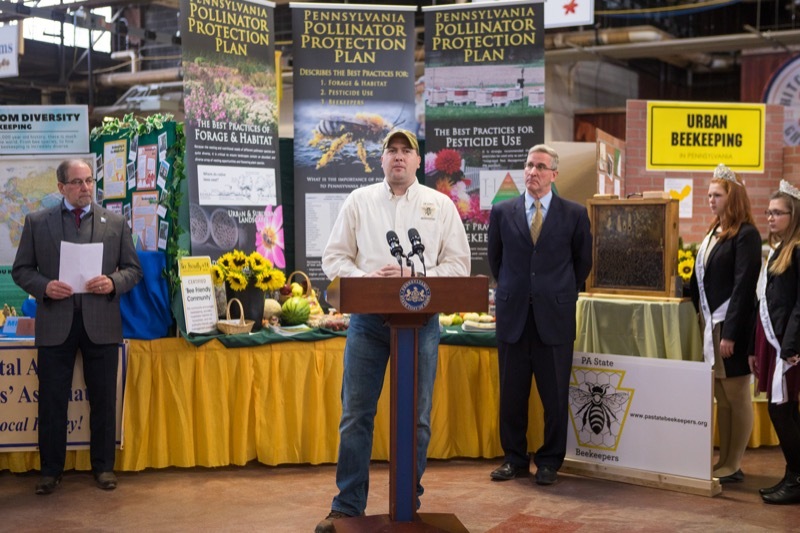 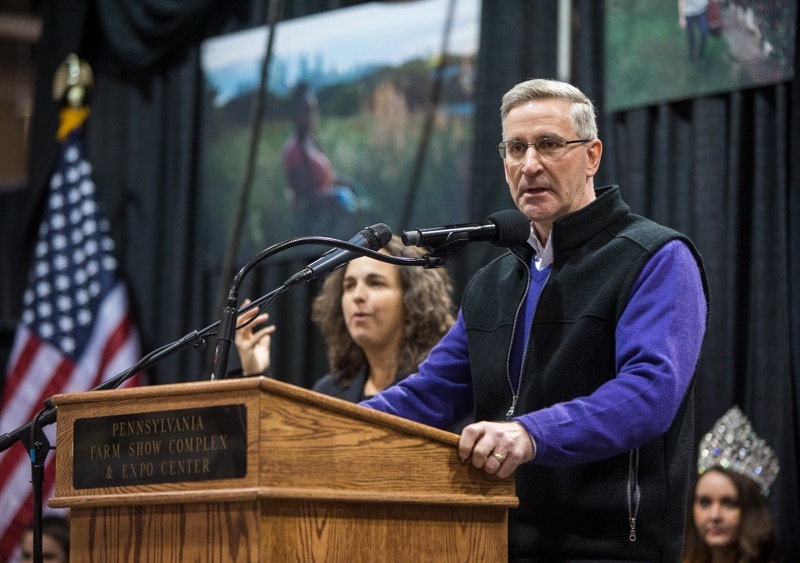 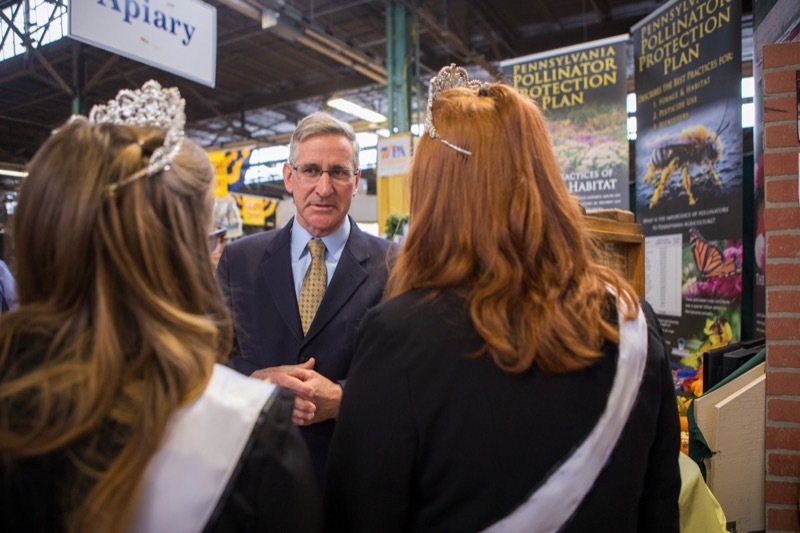 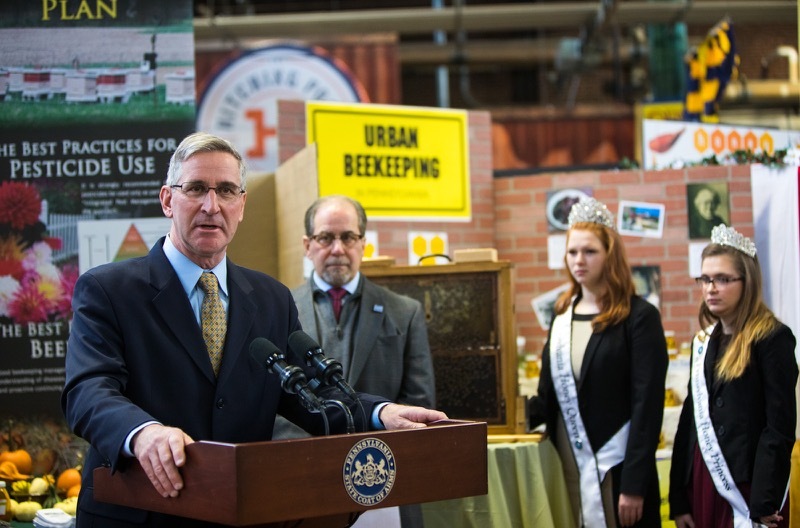 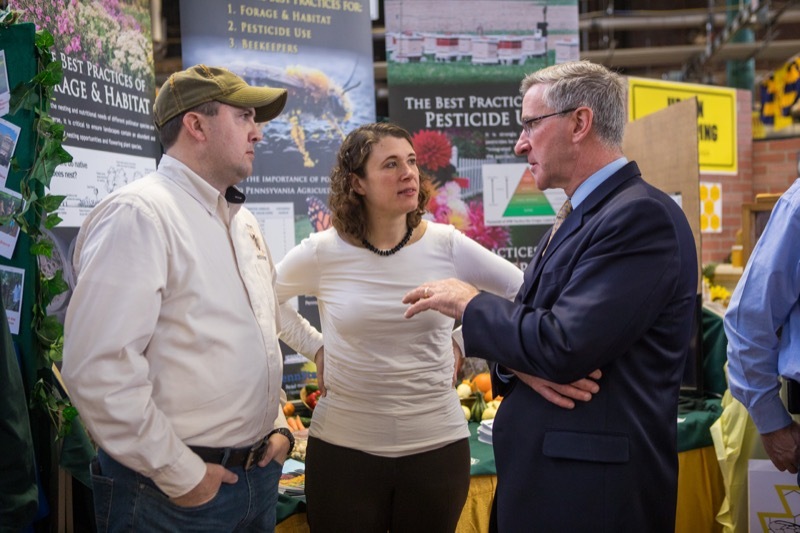 Standing in front of one of the more popular exhibits at the Pennsylvania Farm Show-an educational display on the importance of bees to society-state Agriculture Secretary Russell Redding today helped unveil a new report intended to support healthy pollinator populations in the face of challenges that have decimated some species. 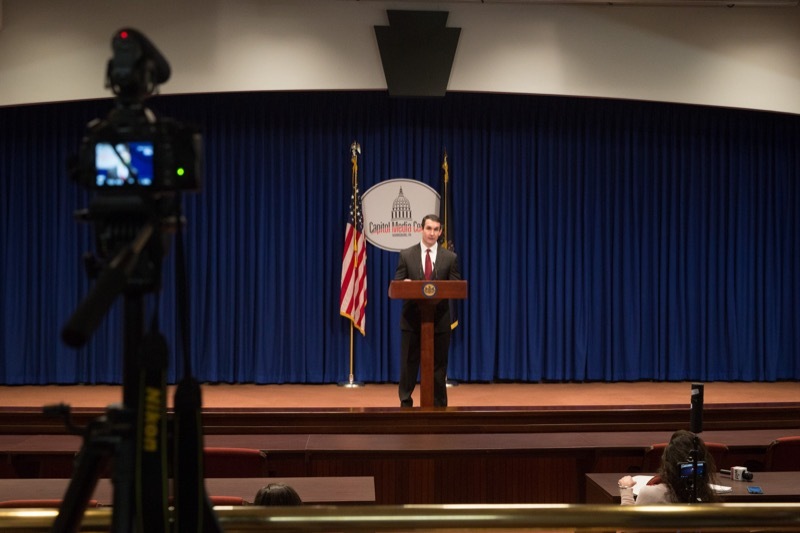 Auditor General Eugene DePasquale today outlined his major audit initiatives and special reports for 2018 that will help tackle many of the challenges facing Pennsylvania government and residents while improving accountability and transparency. 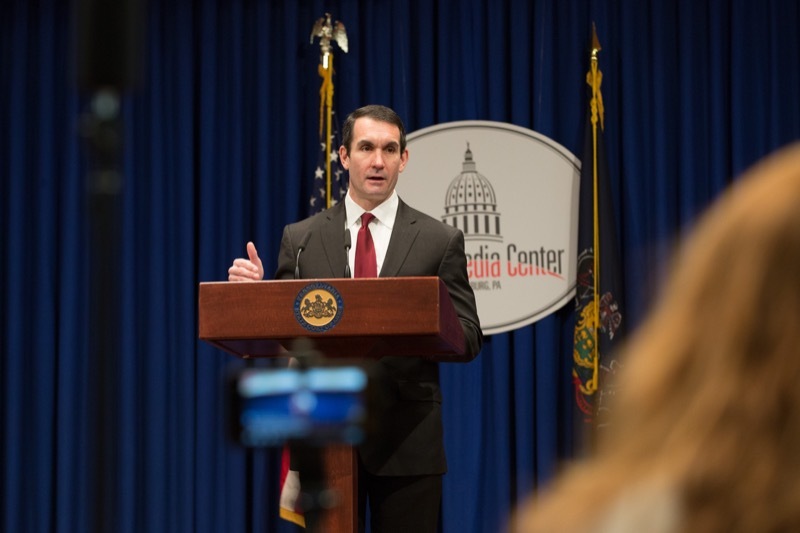 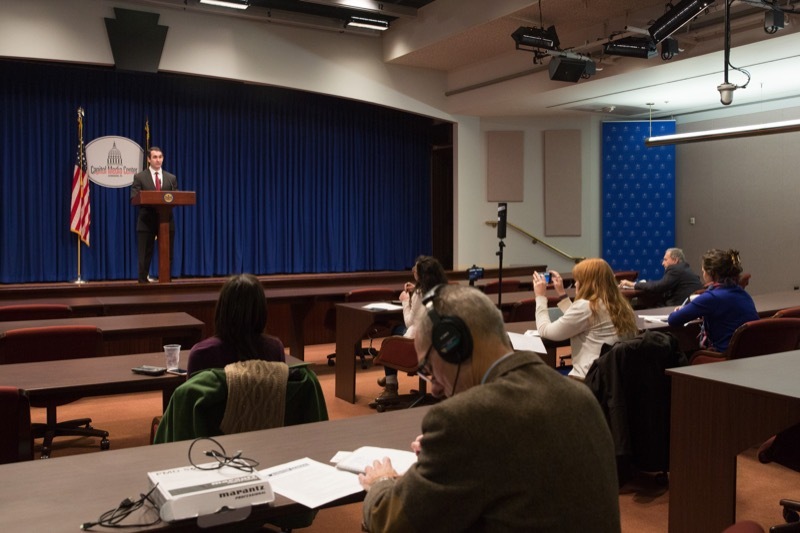 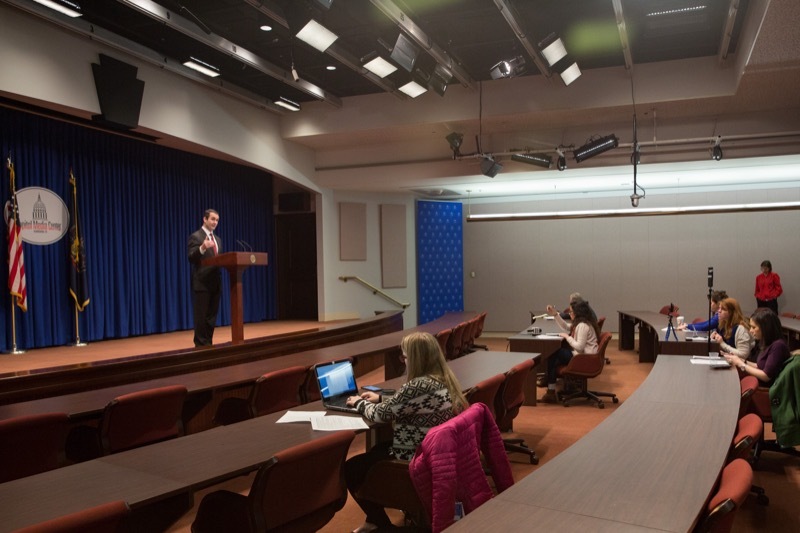 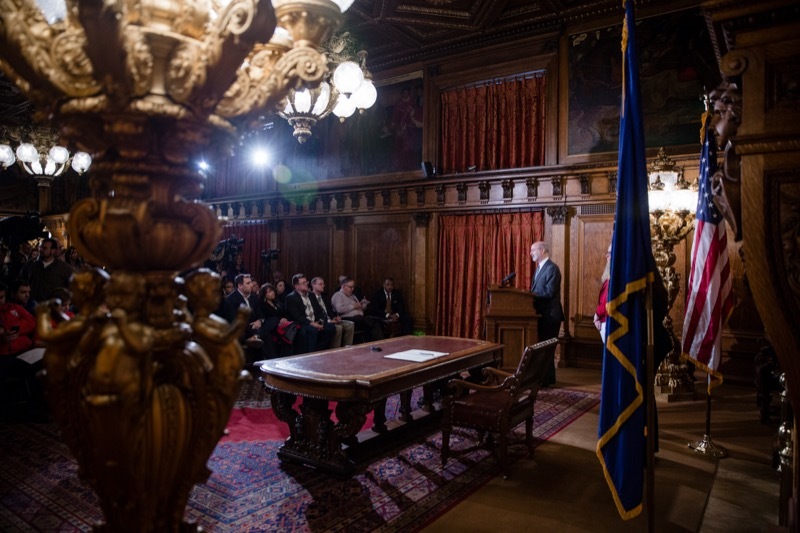 HARRISBURG - Auditor General Eugene DePasquale today outlined his major audit initiatives and special reports for 2018 that will help tackle many of the challenges facing Pennsylvania government and residents while improving accountability and transparency. 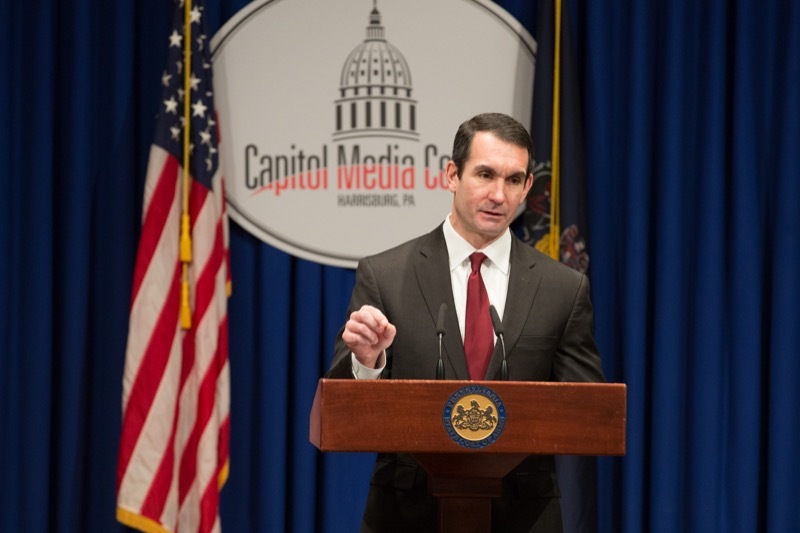 HARRISBURG - Auditor General Eugene DePasquale today said he shares concerns raised by Erie County Controller Mary Schaaf and others about the lack of financial oversight of how the Greater Erie Community Action Committee (GECAC) spends public funds. 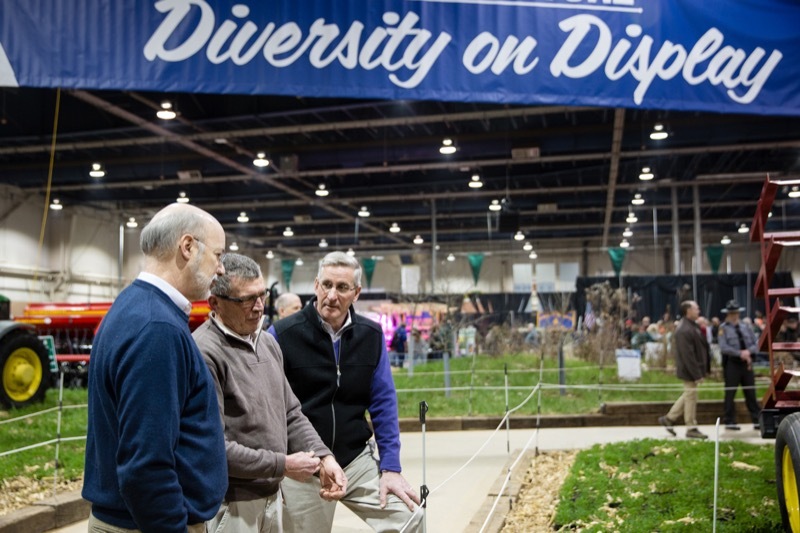 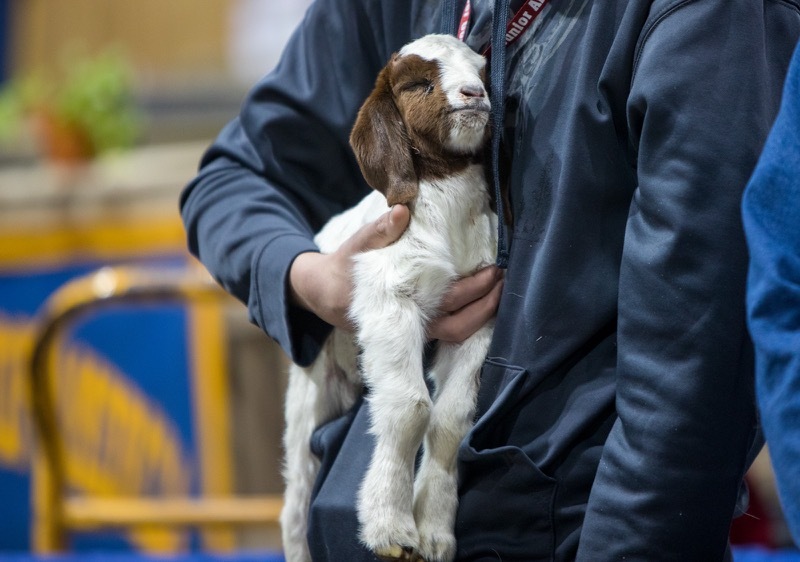 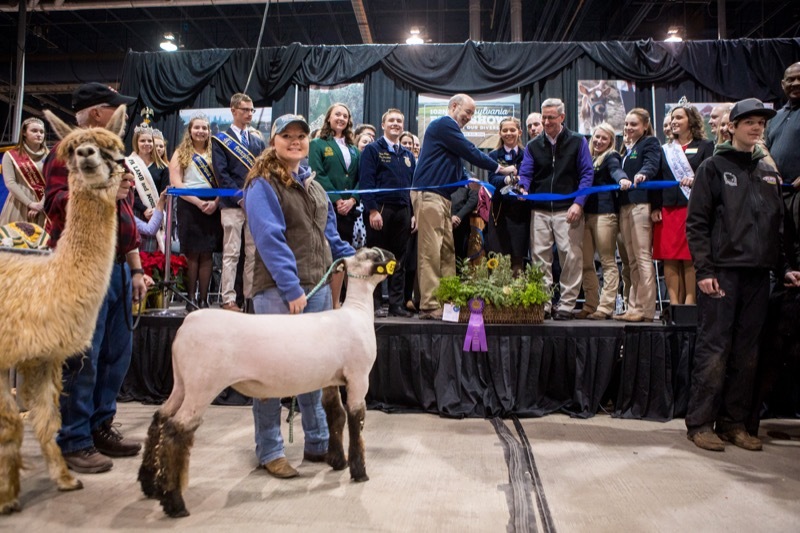 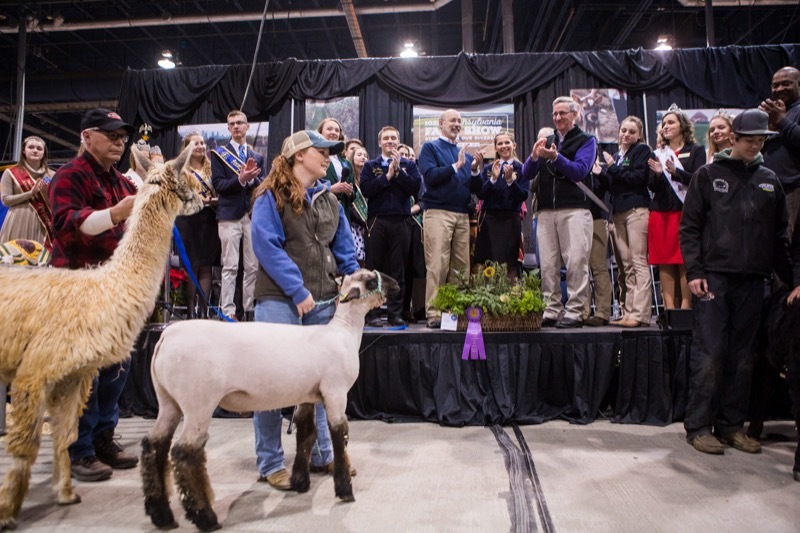 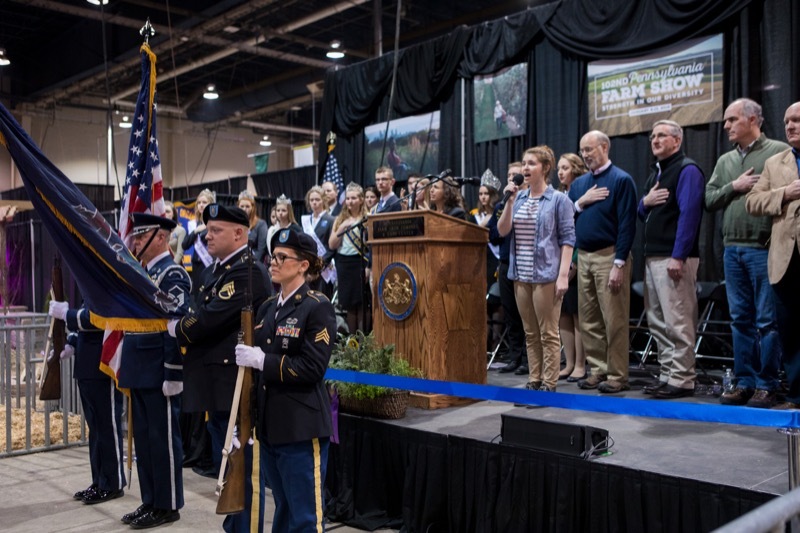 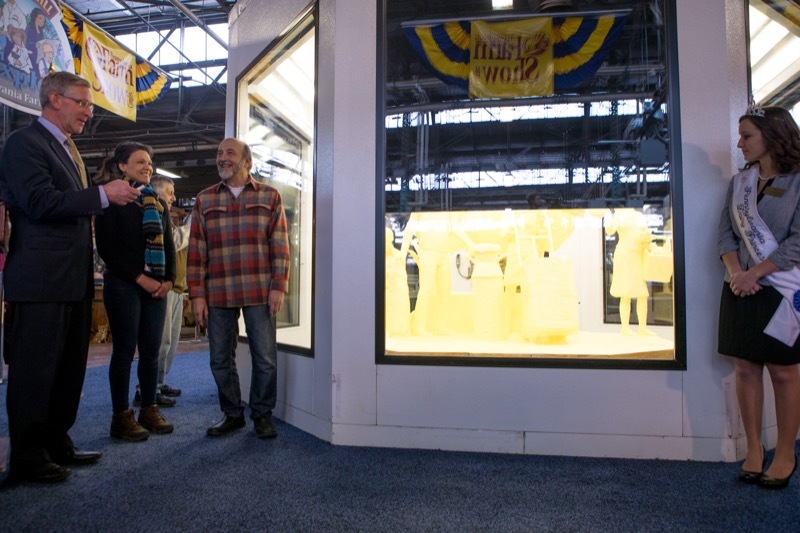 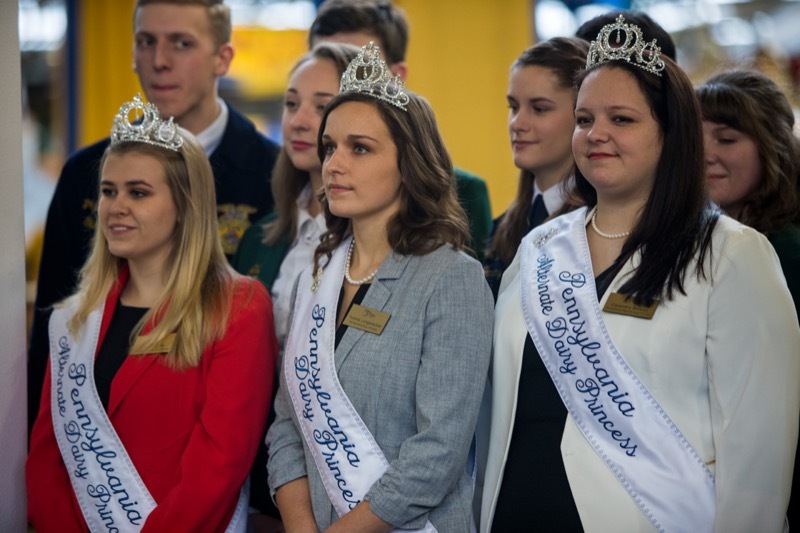 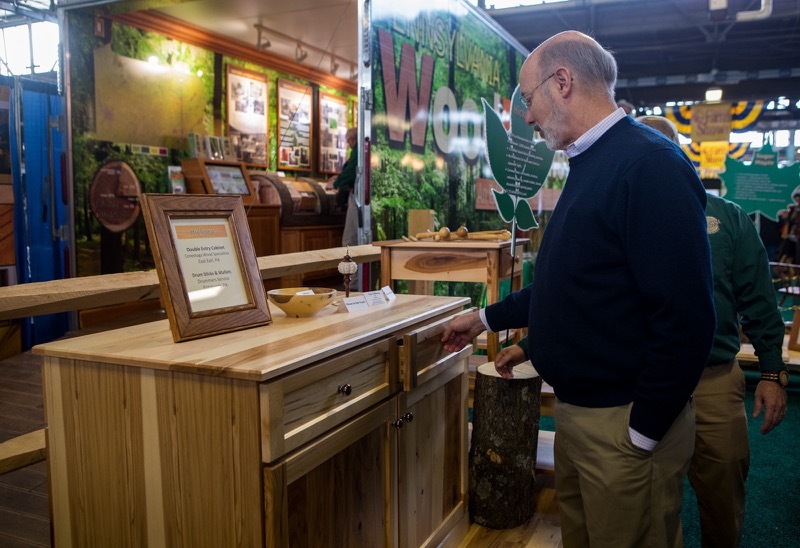 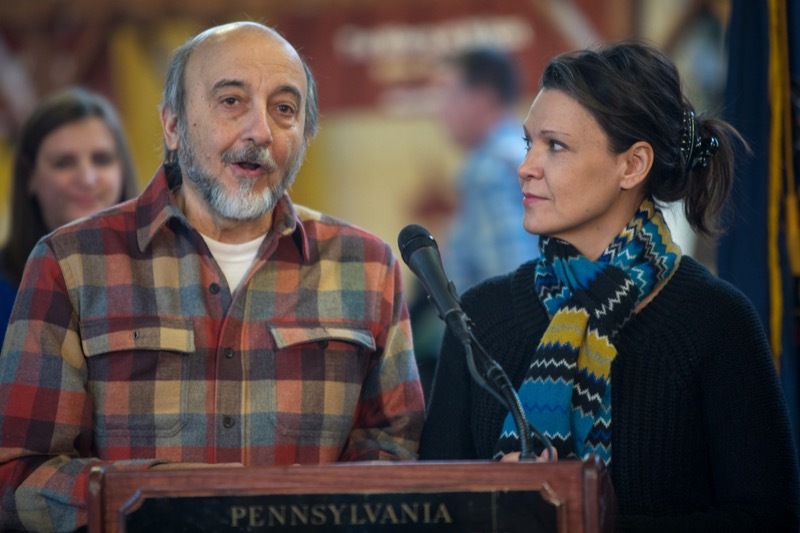 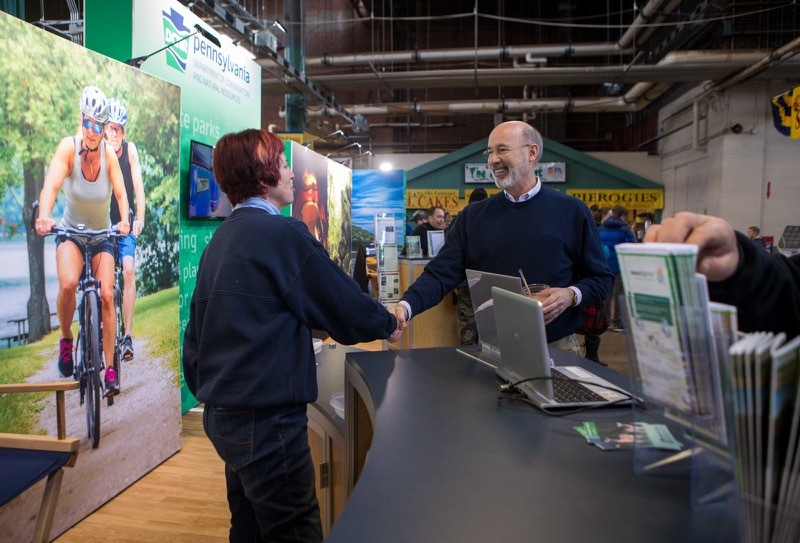 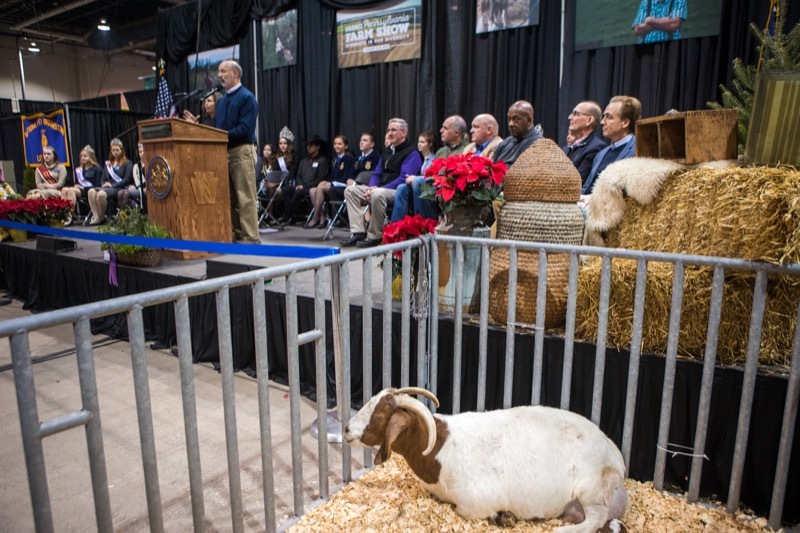 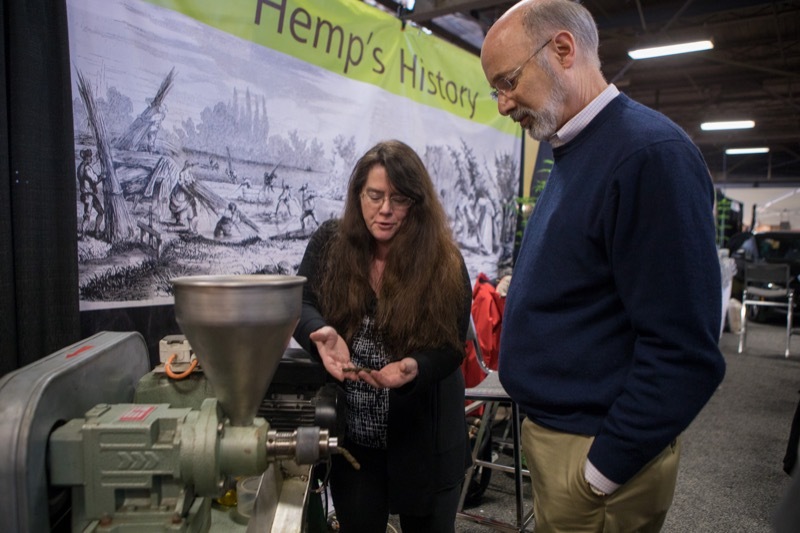 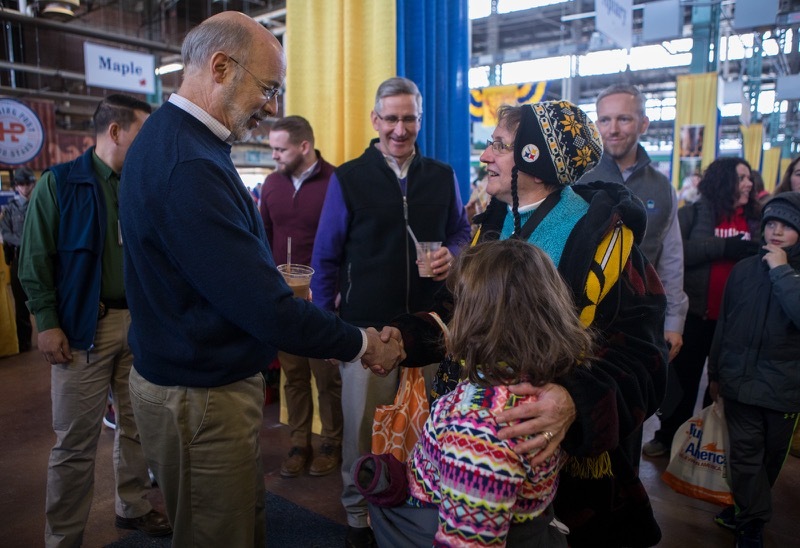 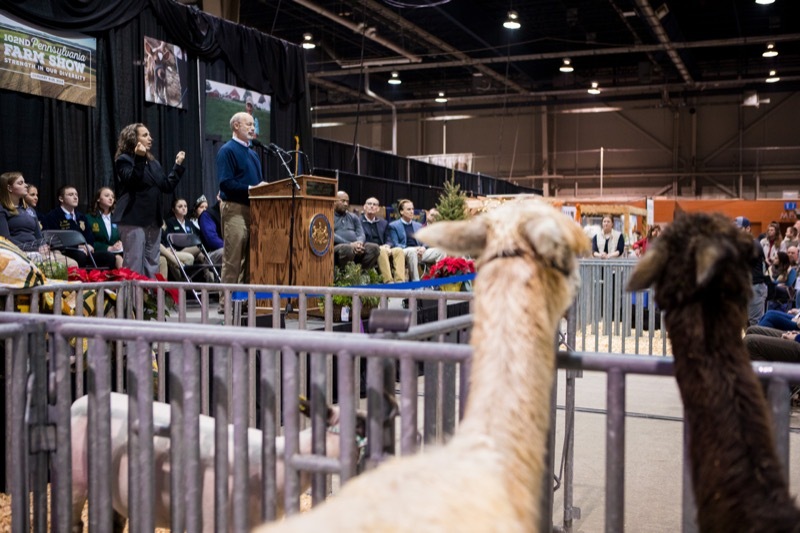 Governor Tom Wolf kicked off the 102nd Pennsylvania Farm Show today, celebrating the show's 2018 theme, 'Strength in Our Diversity.' 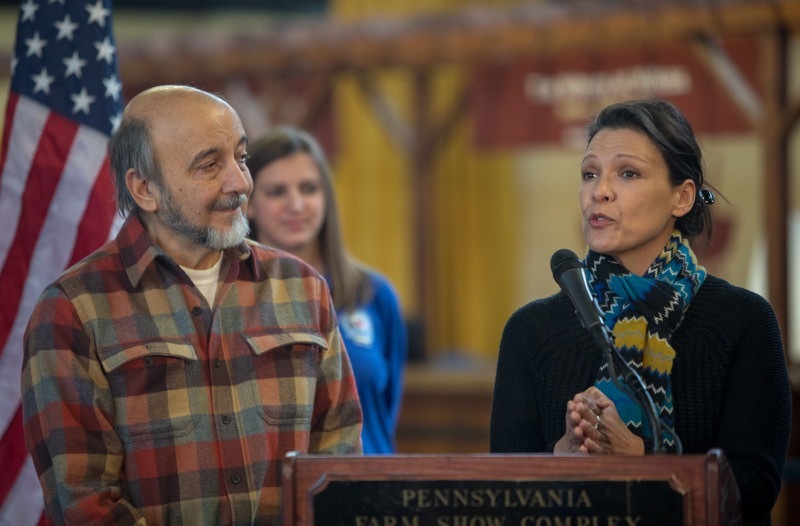 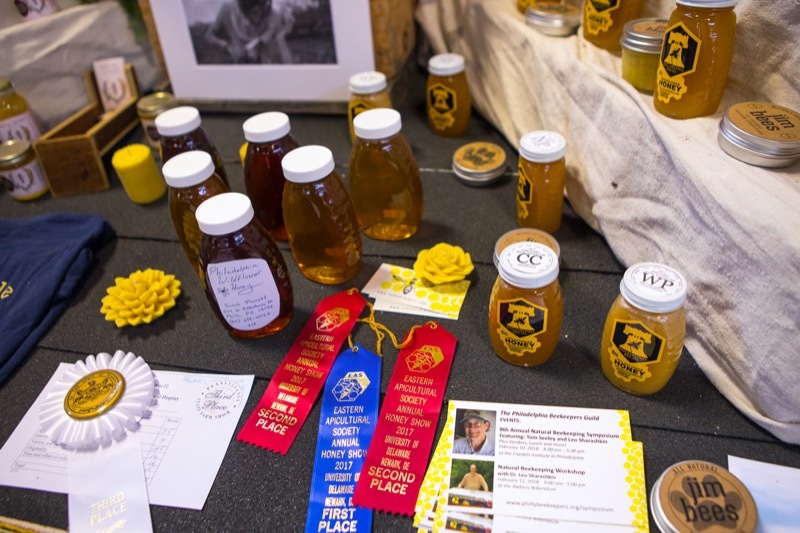 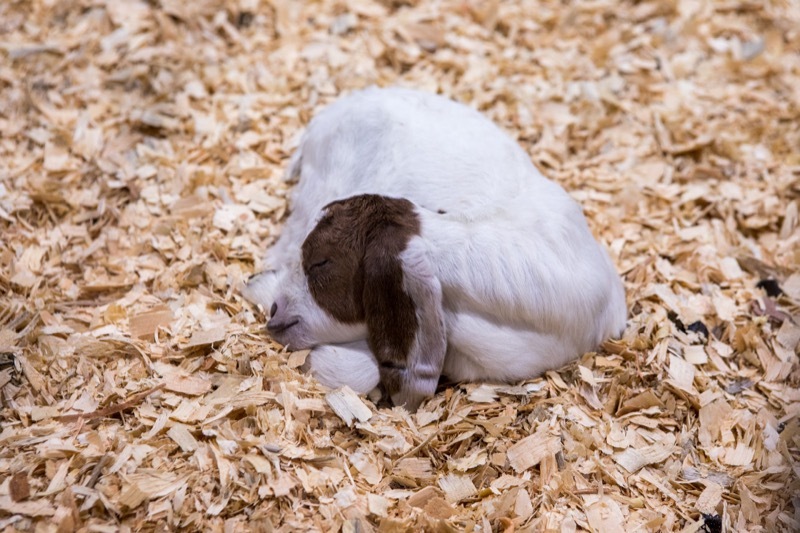 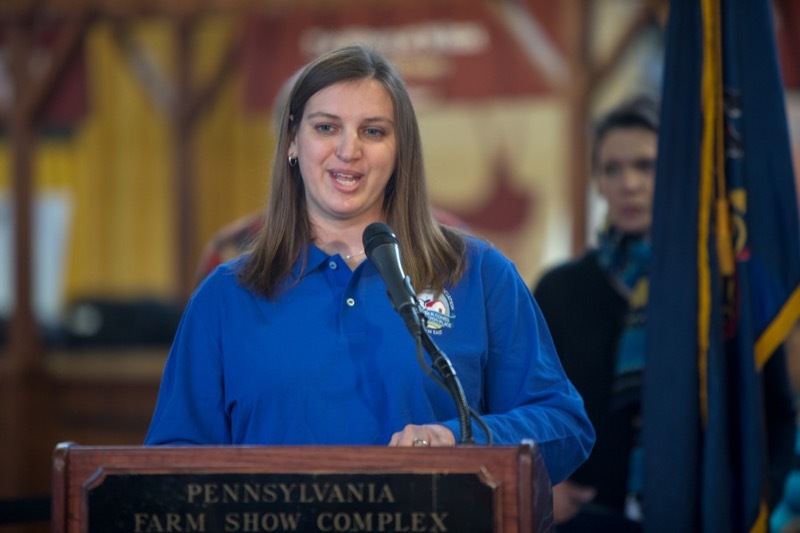 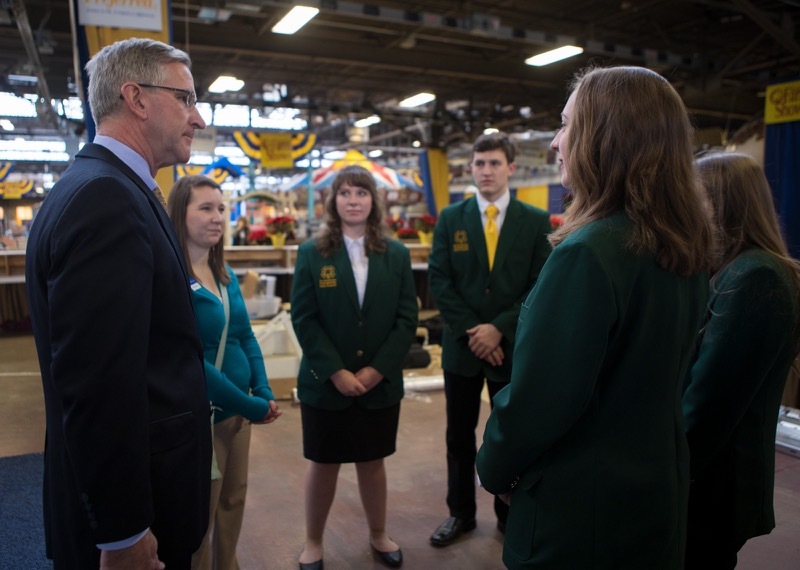 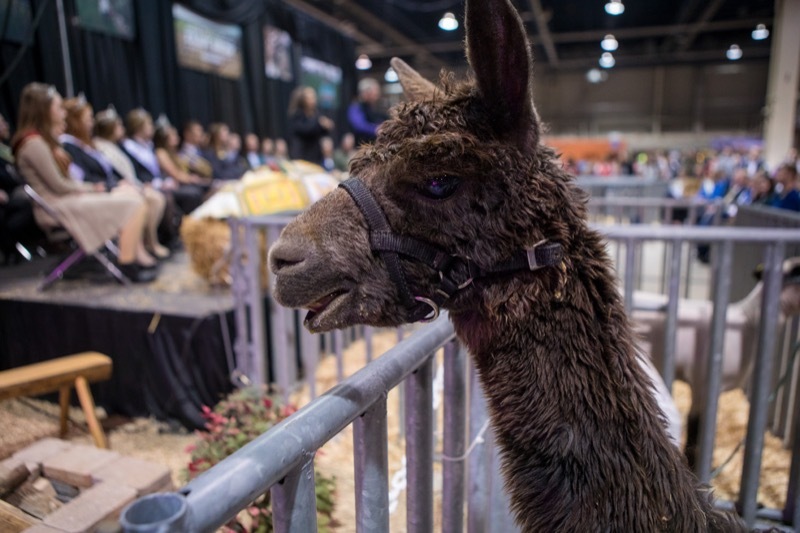 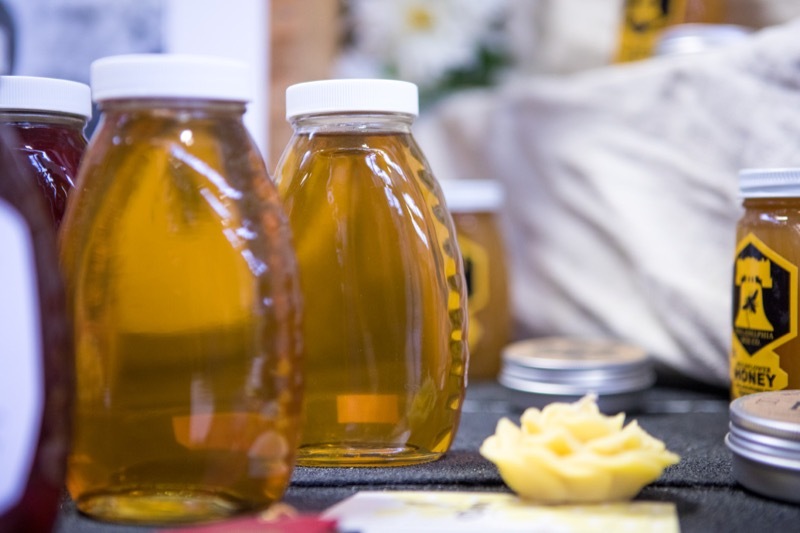 The annual eight-day event will highlight the breadth and diversity of Pennsylvania's agriculture and food industry, the people who make it thrive, and investments the commonwealth has made to support the industry's long-term prosperity. 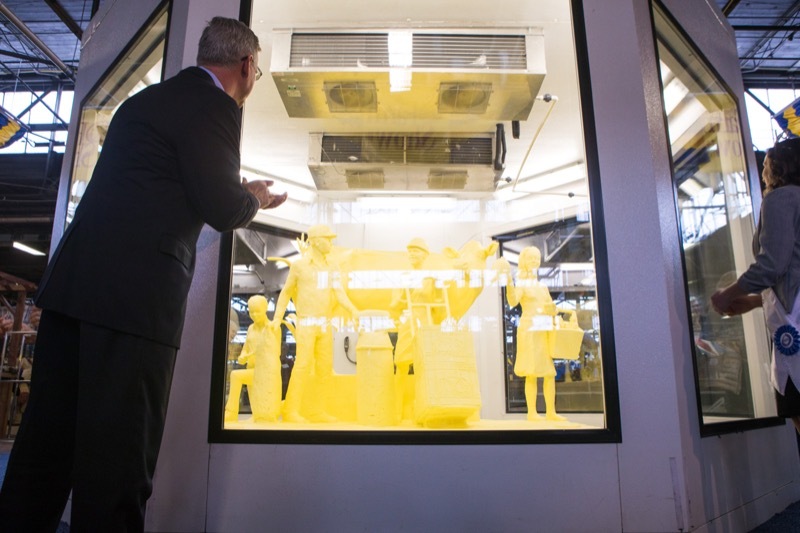 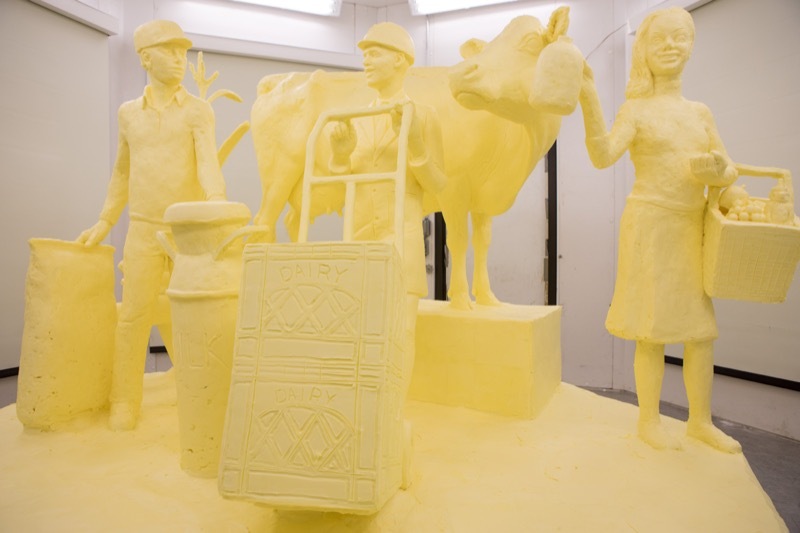 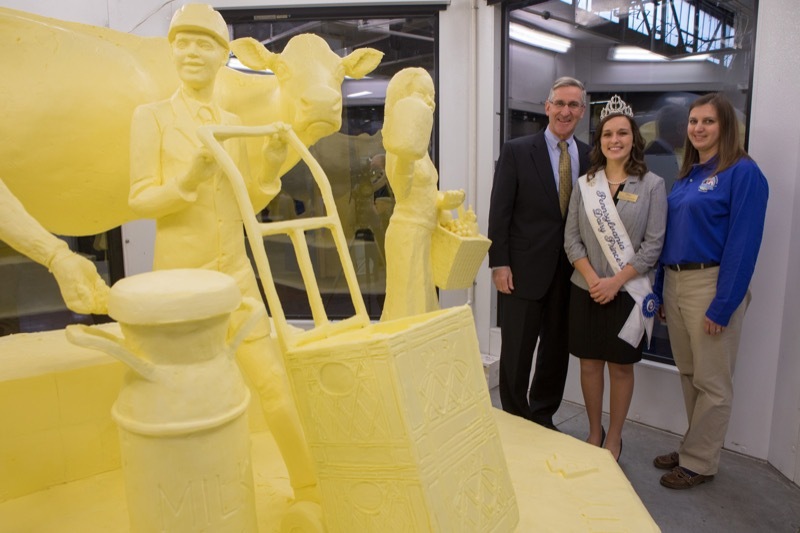 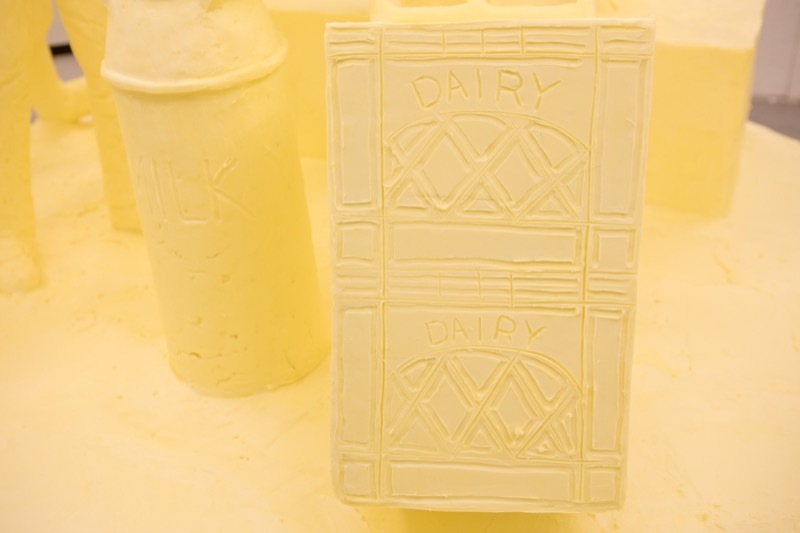 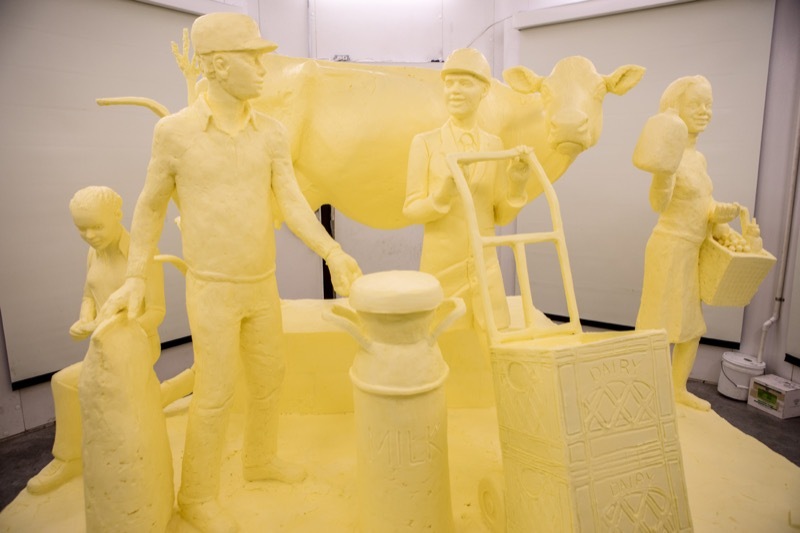 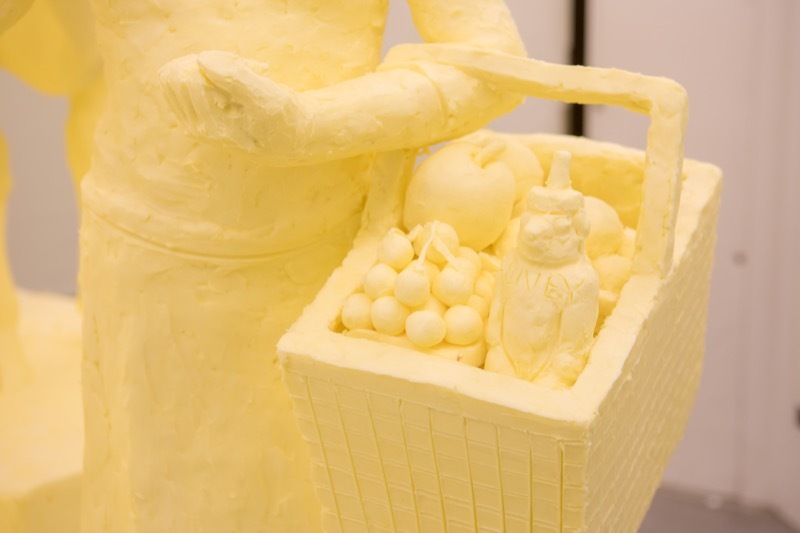 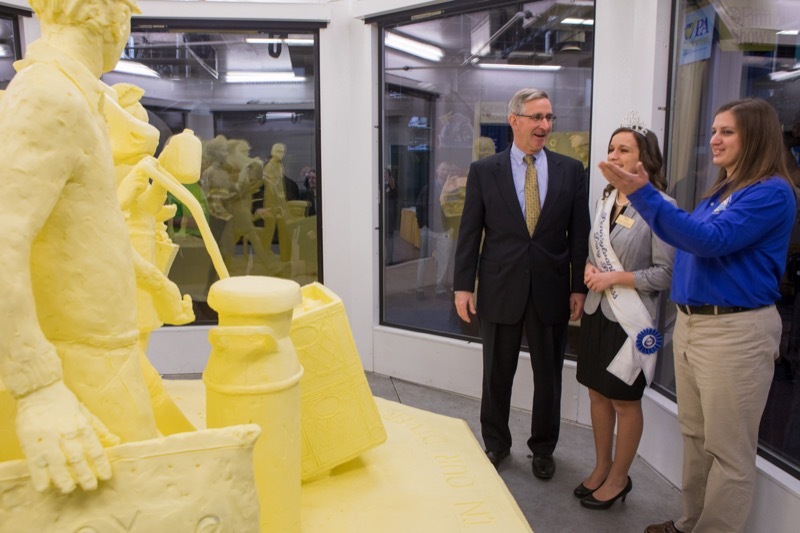 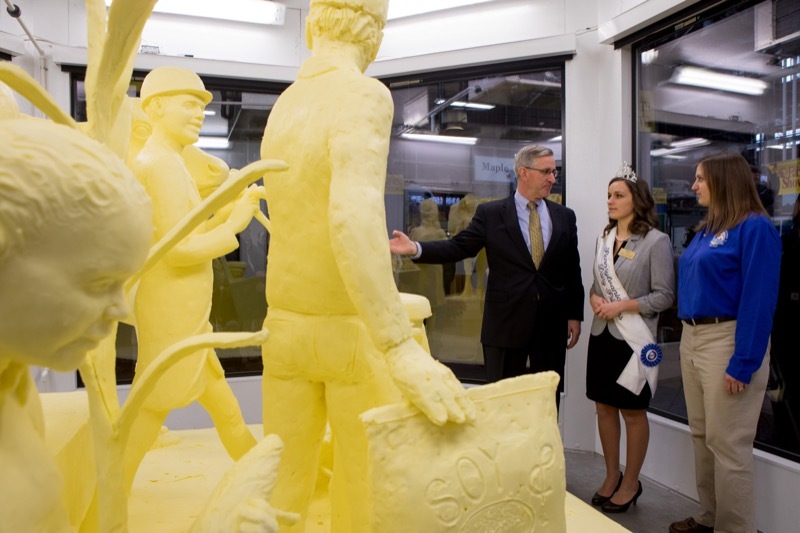 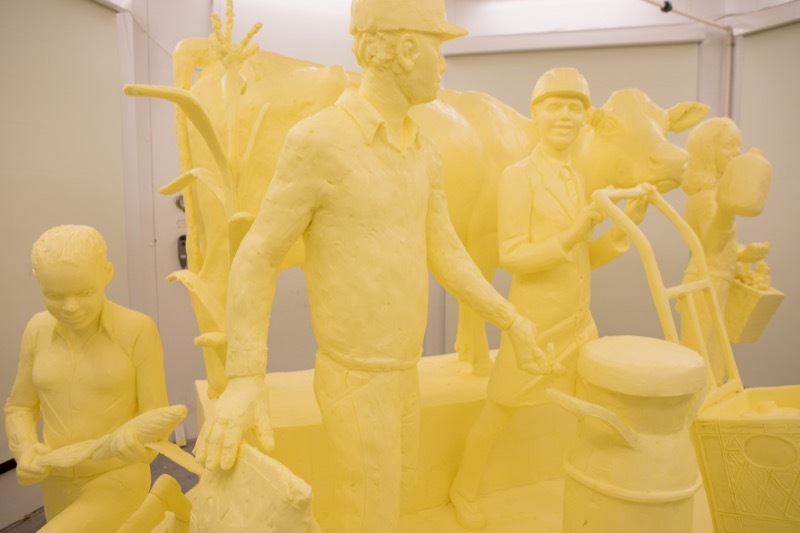 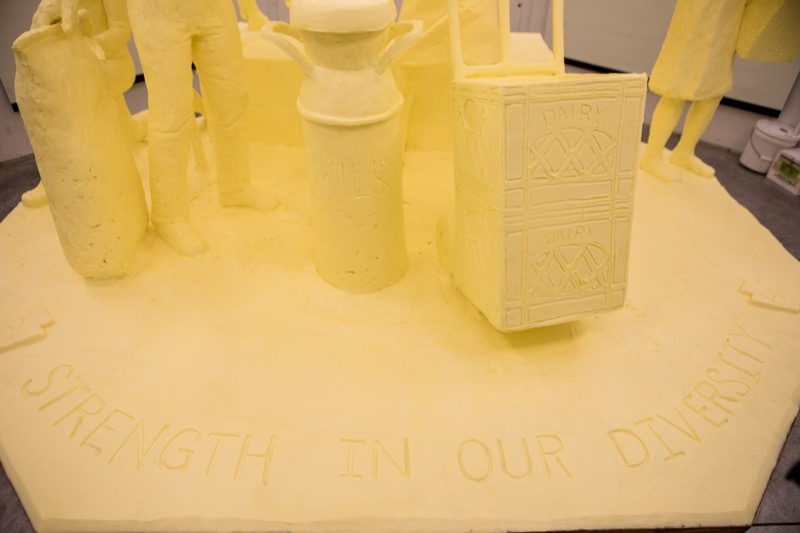 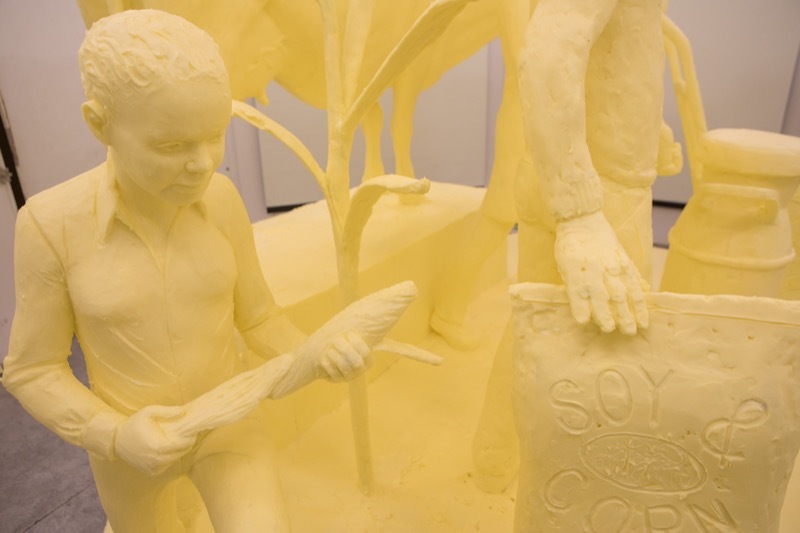 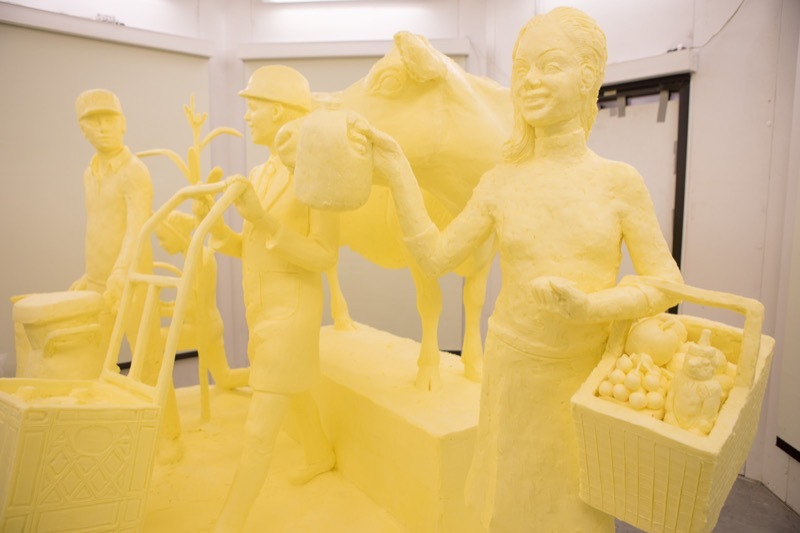 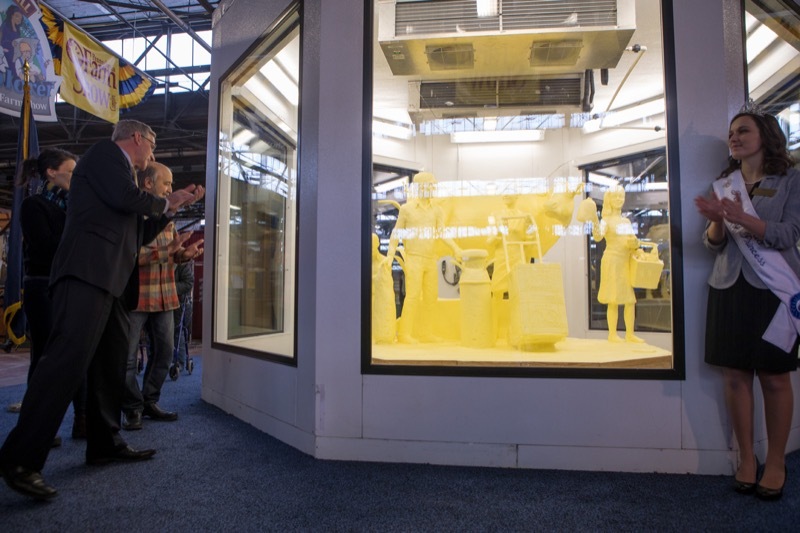 A sculpture carved from a half - ton of butter depicting the diversity of Pennsylvania agriculture - specifically careers and roles that support the dairy industry - was unveiled today at the 10 2 nd Farm Show. 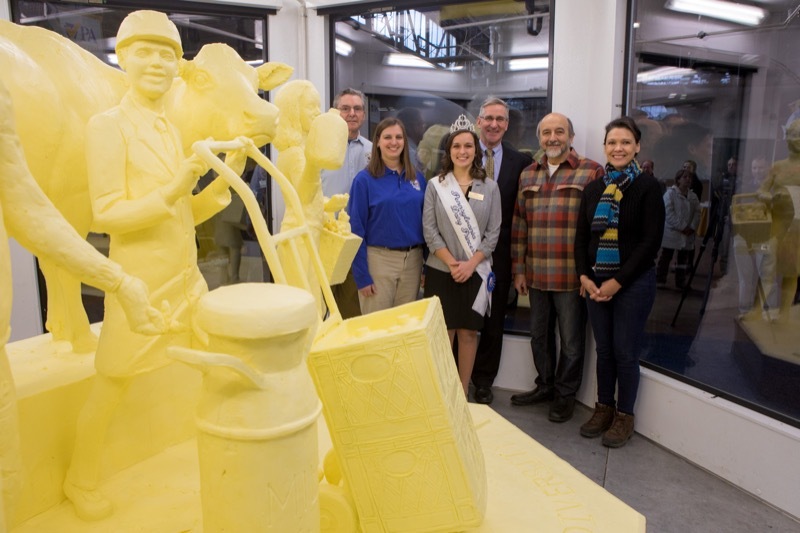 A sculpture carved from a half-ton of butter depicting the diversity of Pennsylvania agriculture - specifically careers and roles that support the dairy industry - was unveiled today at the 102nd Farm Show. 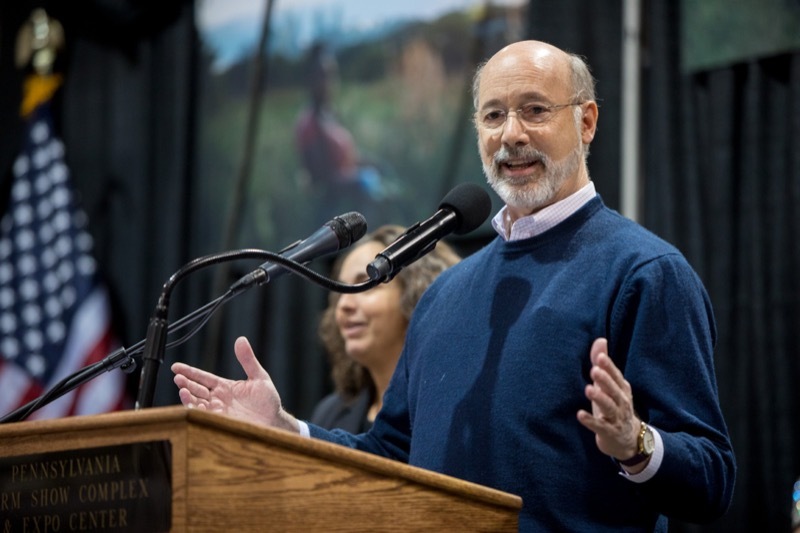 As extremely cold temperatures and dangerous wind chills are set to affect the commonwealth, Governor Tom Wolf reminds residents of the need for safety and preparedness during the winter months. 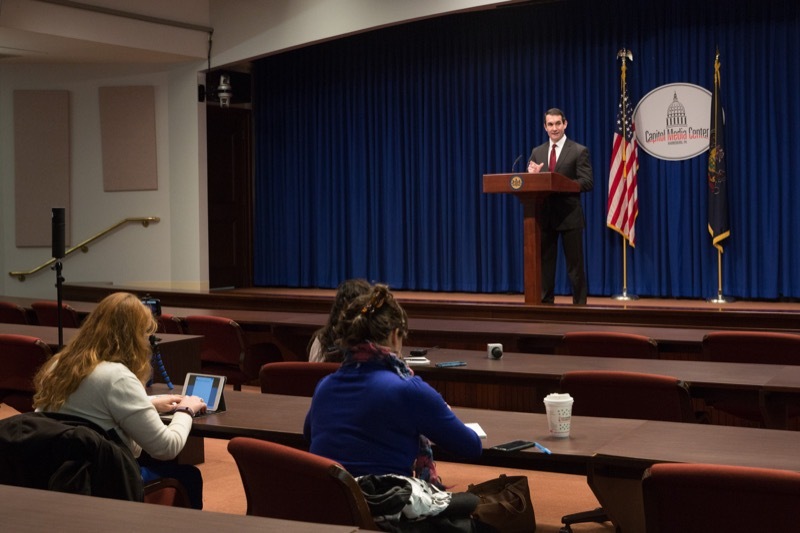 In coordination with District Attorney Cory Snook, the Attorney General held a press conference on the Drug Take Back Day Event.